What about the camos from the ratings season that just ended? We have yet to receive them our hard earned camos. Please advise. Edited by doutei_magic, 08 November 2018 - 12:15 PM. What will happen to the current tier ii tanks? will they be nerfed when they become tier i? And will we be able to keep the 10,5cm guns on StuG and Hetzer just by mounting them? Or will they be removed anyway? Yeah when will we be rewarded our camos? About to make monumental changes to the game once again that might just be the final straw for many - but hey, new camos so its all good. If you didn't get prize camo, please contact support center. 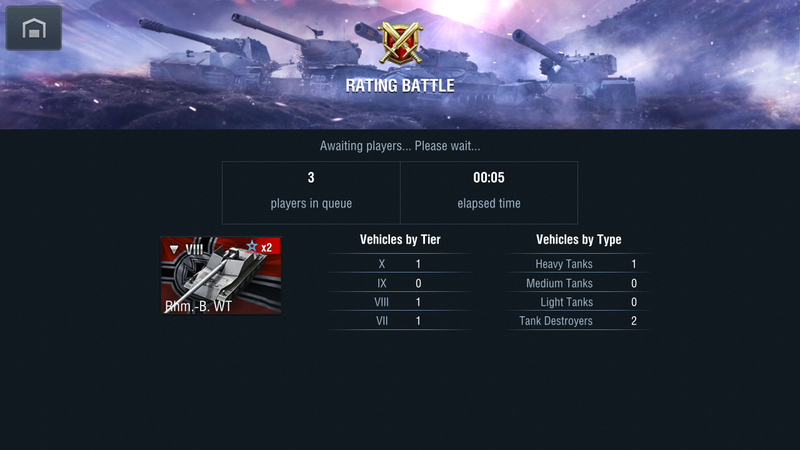 Low tiers well be rebalanced significantly, current tier 2 is not exception. If gun is getting removed you can't save it anyway. Submitted it to support center. didn't get it. It seems that this is happening in the other servers as well. A lot of players have been asking about it. Edited by HermesSG, 09 November 2018 - 02:47 PM. Too few players participate in rating mode and mad game so I can not join it . Please resolve it . Edited by phucmia111, 09 November 2018 - 07:02 PM. So, you support fast progress for begginers in a sheltered workshop that does not prepare them for tier VI and above? What is a begginers going to learn with low damage guns at low tier? Nothing that will help when they meet veterans in a KV2. Edited by Neb10k, 11 November 2018 - 02:00 AM. Anyone thought, maybe the playerbase numbers are decreasing, so to concentrate the players in an area, they remove a few tanks, make an area of the game less worthwhile which puts more people in the desired area, not to forget how match maker works, it requires population to group tanks as intended, and as a sideline, the extra space on some devices would please people. Assuming the changes affect the file size. Get ready for new German heavies! I do not think cutting of low tire technology tree is a good change. Even if a novice quickly advances the tree and comes to high tire, it may be unilaterally attacked by experienced players. If you think about beginners, I think that it would be better to have experienced firmly using various vehicles with low tire. What you need than a technical tree cut is to explain the environments and howitzillers in the game firmly that it is difficult for beginners to match with players with different experiences. It is not enough to explain about the shell. You should also explain the type of main gun well. wow, I lost at least 30 camo's which I bought for gold and I get no gold as compensation ????????????????? What is wrong with WG ? What camos and what tanks are you talking about? Just wanted to say thank you for all the new tanks in my garage, also despite the 'nerf' I am actually doing a lot better in my Covenanter than before the update. One question - has the credit multiplier on the tanks that are now collector tanks changed?